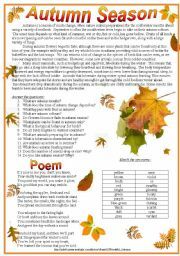 The text and poem about autumn are offered. Also you can practise adjectives of colours here. 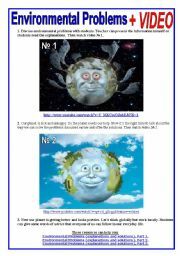 These 2 VIDEO fragments are small but really exciting and work as a push to involve students into the topic. Enjoy! This is a very popular TV serial, you know, and my pupils love it. Hope yours will enjoy too! 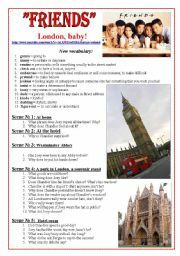 It includes new vocabulary,questions to each scene and a script. 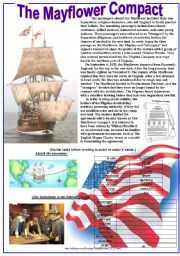 The text about Pilgrims who traveled from Great Britain to North America and set up the Plymouth colony.Your students can practise giving definitions and using synonyms with the help of this text. 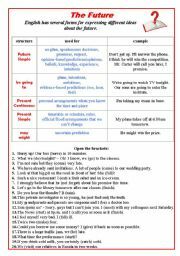 This worksheet will help your pupils to act out the dialogue about travelling. You�ll find new vocabulary, questions to each scene and a script here. Hope your students will enjoy as well as mine. 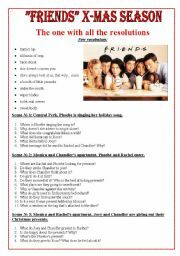 "Friends" The one with the jellyfish (with script)"
This one is about summer time.It includes new vocabulary,questions to each scene and a script.Hope your students will enjoy as well as mine. 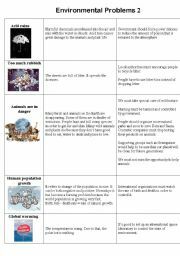 Environmental Problems (explanations and solutions), Part 1. All Future Forms: Future Simple, Pr.Simple, Pr.Continuous, be going to, may/might + exercise + keys with explanations. 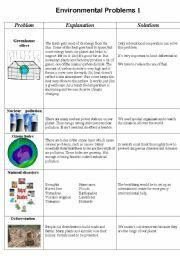 Environmental Problems (explanations and solutions), Part 2.